While Daily Mail made a few product announcements at its Daily Content NewFronts presentation today, it was its data that stood out more than anything else. And the eyebrow-raising numbers the publisher presented underscored that its site is the most popular English-language destination in the world. The U.K.-based publisher is now posting 650 videos a day, which has resulted in a 516 percent jump in views in the past year. It's getting 383 million monthly video views, 12 million video views per day, and claims an 80 percent completion and viewability rate. "It's become to many people the publication for news and entertainment," said former CNN anchor and Daily Mail editor-at-large Piers Morgan. "People average 20 minutes on the site." It draws 240 million monthly global visitors. The publication gets 80 million U.S. visitors a month. With 350 journalists worldwide, it posts 1,200 stories a day. It also publishes 10,000 photos each day. Forty-six percent of its web traffic comes from people going directly to its homepage. It's also clear that Daily Mail's efforts on Facebook, Twitter and Snapchat are going swimmingly. Editor in chief and publisher Martin Clarke relayed a story about how his son—normally apolitical, he says—recently asked about Donald Trump because of something he saw on Snapchat. "Snapchat Discover is exposing our news and our content to a brand new audience," Clarke said. In other words, it's exposing his content to millennials and Gen Z consumers like his son. Daily Mail has a coveted Snapchat Discover channel, and the two companies partnered last year at Cannes to create vertical mobile video content. The publisher didn't provide stats on Snapchat's contribution to its massive traffic, though, Nick Bell, Snapchat's vp of content, said Daily Mail is successful on his platform because it creates visual content that's easy to consume and entails audio. Daily Mail's Gen Y-focused sister publication, Elite Daily, debuted a branded content studio called CraftED. The initiative is designed to build on the native advertising Elite Daily has recently done with Burger King, Chegg, Axe, Fiat and other brands. 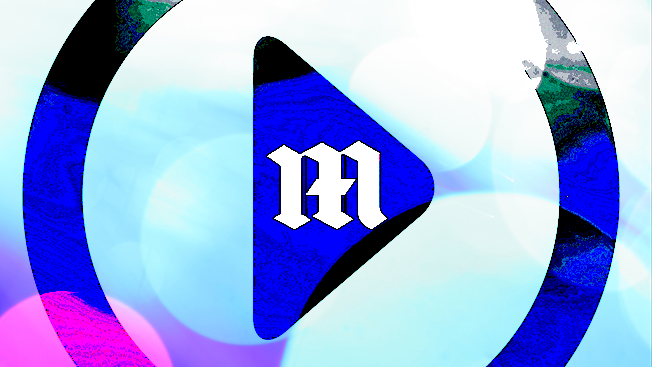 "Branded content is Elite Daily's lead priority," said its president, Miguel Burger-Calderon. Additionally, Burger-Calderon's team unveiled a bevy of new original shows—including New Empire, a docuseries about a Ghanaian-American woman who goes back to her parent's homeland to better the country, and 5Tages, a comedy about love in the digital world. Elite Daily also will be jumping into interactive video, which promises to be Gen Y-friendly and involve brands, though no additional details were disclosed. "You've got to think outside the box," said Tyler Gildin, Elite Daily's executive producer. "And I think the next step for us is interactive video."